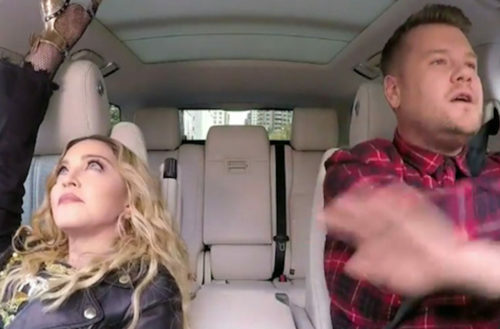 The latest celebrity to hop in a car with The Late Late Show host James Corden is none other than the Queen of Pop herself, Madonna. Past favorite appearances have included everyone from Britney Spears and Adele to First Lady Michelle Obama. “I don’t really like riding around in a car unless there’s music,” Madonna says, which kickstarts a 10-minute-plus karaoke session.